Last week we mentioned the resurgence of two hair accessories brought back into fashion by notable American designers Alexander Wang and Prabal Gurung. This week we are taking inspiration from these hair accessories. With fashion, we get caught up with the “new.” We want the most modern and freshest, but sometimes the coolest things can be found from our own individual history and ancestry. Since we are still in the middle of the summer heat and wedding season, this post will focus on the three hair accessories which transcends hundreds of years, but can still feel new and most definitely fashionable. These include the wedding hair pin from India, braid pins from Africa, and intricately beaded headwraps from Central America. The head-wraps are lightweight, brightly colored textiles which are handmade by local, female artisans in Guatemala. These beautiful creations will tie up your hair off of your face and neck during those hot summer days, but they can also be used as a belt around a flowy maxi dress. Each piece is one of a kind, and can go from the beach to a date. It’s always a plus when you are able to get multiple uses from one product. These amazing pieces can be bought at Hiptipico. The bun pins from India are traditionally used at weddings for the bride, but these beautifully crafted pieces of jewelry shouldn’t be limited to just one day. They can be very elaborate with hanging strands of beads or metal or more minimal for a less ornate look. 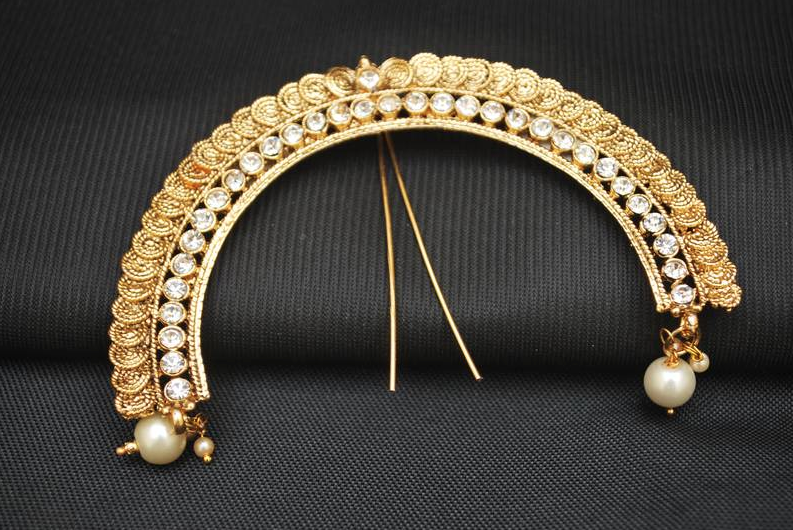 The pin attaches to the hair after the bun has been completed, creating a stunning frame for your look. We love the idea of adding this chic piece to dress up a basic outfit, even as simple as jeans and a t-shirt. They can be bought anywhere from Etsy to Amazon. The braid pins from Africa are little rings with various adornments which get clipped into your braids. 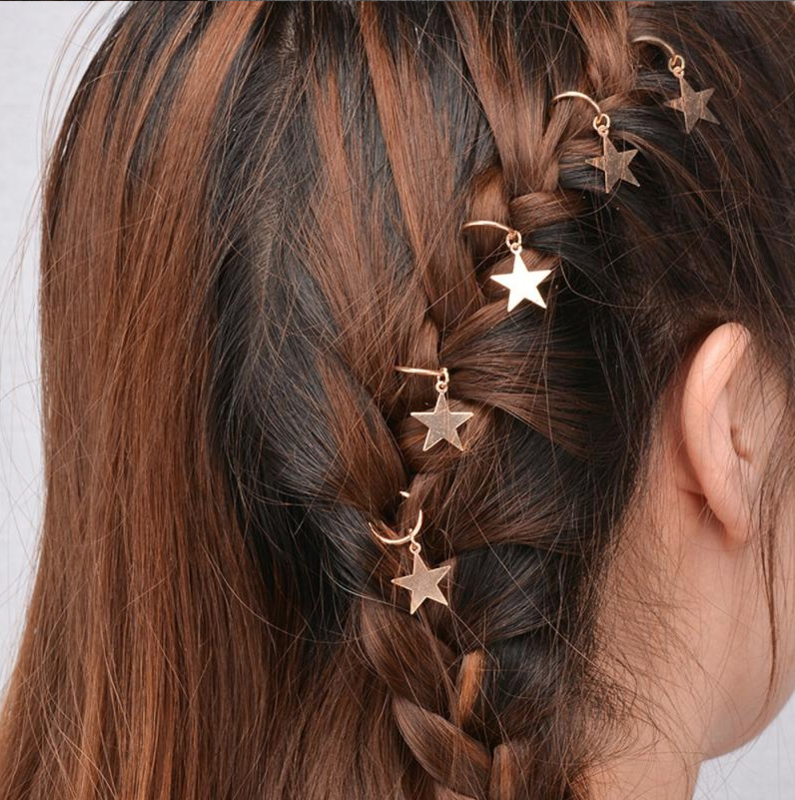 Adding these trinkets elevates the braids to a more fashionable level. The adornments can range from seashells to stars or even just the basic metal hoop. These pins can give your basic braids a chic twist. While the possibilities are limitless and we can get up caught up thinking ahead, sometimes the best ideas can come from our own heritage and families. They do say “what’s old is new again.” So, the next time you have one of those days where you just want to pull your hair back, take that next step and add one of these timeless and ageless accessories.